I REALLY appreciate your follow up and the fact that you stand behind your product. You guys have always been responsive and I truly appreciate it. You truly are AMAZING! If you ever need a testimonial I am happy to do so. Join our mailing list for tips and tricks and FREE software! We offer 30 day money back guarantee on our products. The price remains the same every recurring billing. Click here if you would like to pay by Bitcoin or Perfectmoney. CL AUTO POSTER is not designed or intended to be a spam tool, but rather to manage your ads and compaigns on craigslist.org. 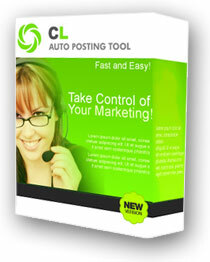 This CL Auto Poster software makes posting Craigslist ads extremely easy! This automatic craigslist poster is a must have tool! 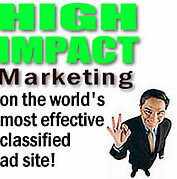 Any type of Craigslist Autopost tool will automatically post craigslist ads. This Craigslist automatic poster software will lessen your posting time, manage your campaigns, and broaden your craigslist customer base. We respect posting craigslist ads and insist that you do not spam craigslist with any kind of autopost software! Copyright© 2019 claposter.com - All rights reserved. This site is neither endorsed, nor sponsored by, nor affiliated with Craigslist, Inc. Craigslist is a registered trademark of Craigslist, Inc.